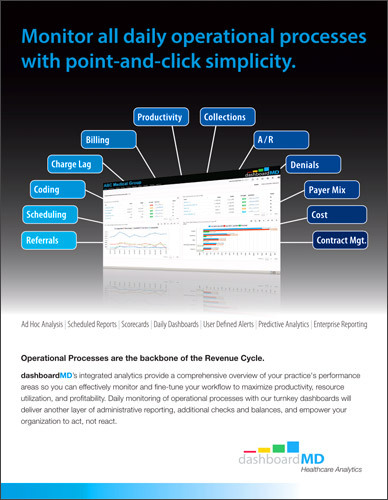 With the continued and seemingly never ending pressures on provider reimbursements, enhanced analytics have become a necessary instrument toward a more financially stable, predictable and profitable practice. 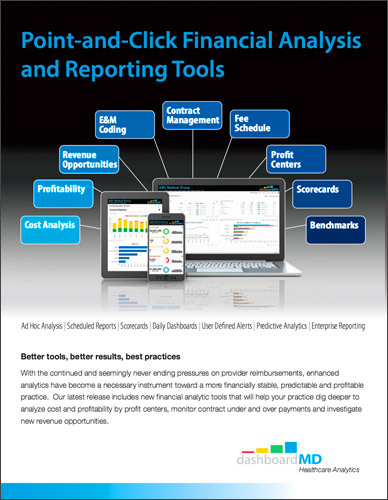 Our latest release includes new financial analytic tools that will help your practice dig deeper to analyze cost and profitability by profit centers, monitor contract under and over payments, and investigate new revenue opportunities. Clinical quality and patient outcomes are now actively tied to financial success in healthcare. 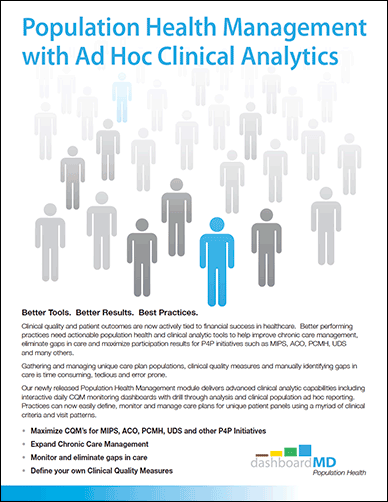 Better performing practices need actionable population health and clinical analytic tools to help improve chronic care management, monitor patient outcomes, eliminate gaps in care, and maximize participation results for P4P initiatives such as PQRS/MIPS, PCMH, ACO or UDS and many others. Gathering and managing unique care plan populations, clinical quality measures, and manually identifying gaps in care is time consuming, tedious and error prone.